The Willard Reservoir was constructed by the Bureau of Reclamation from 1957 – 1964. The dam surrounding the reservoir is approximately 14.5 miles and consists mainly of sand and silty sand over soft clay. On November 13, 2006 there was an area of concentrated seepage into the South Drain. 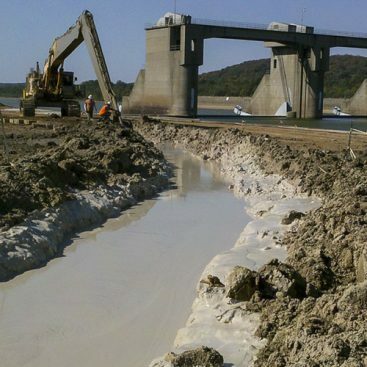 Large volumes of foundation soil and embankment material had been displaced and breaching of the dam appeared eminent. The WBWCD and BOR took emergency actions to avoid a possible disastrous situation. In order to repair the incident area and prevent any future incidents, the WBWCD and BOR decided to install a Cement-Bentonite cutoff wall and a Bio-Polymer drain. Geo-Solutions teamed with Nordic Industries to build and install the cutoff wall and bio-polymer drain. The wall was a Cement-Bentonite (CB) slurry cutoff wall that was approximately 5.5 miles long and was installed at the crest of the dam. The cutoff wall was installed to provide seepage cutoff in sandy foundation soils. 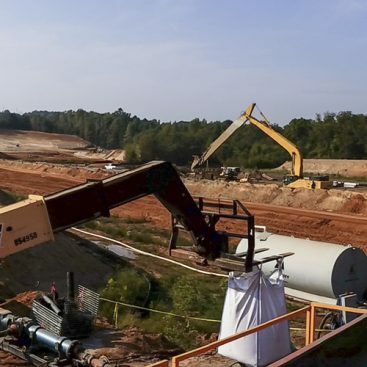 In addition to the cement-bentonite wall, a bio-polymer drain was installed to dewater the original incident area during slope reconstruction. The excavation of the project was planned to take two years and was completed in five months. 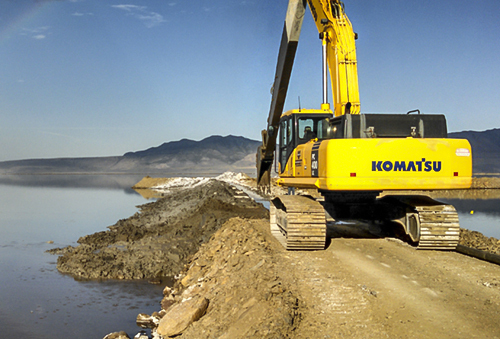 To achieve higher productivity, a double shift was used for the majority of the project. 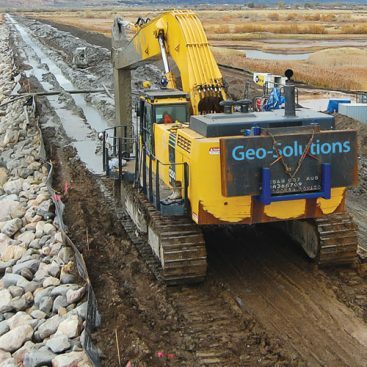 Geo-Solutions provided personnel, specialty equipment, quality control and materials. 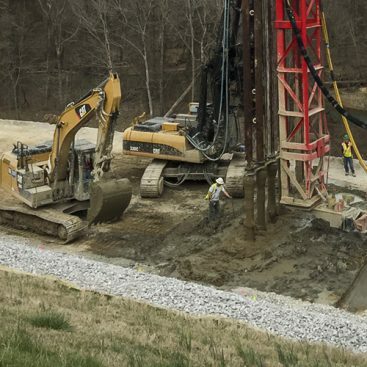 The specialty equipment included two Bentonite Slurry Mix plants with mixing pump and recirculation pump, two slurry supply pumps located at a bentonite slurry holding tank near the CB plant, two Cement-Bentonite slurry mix plants, and two slurry supply pumps with VFD’s. The owner was pleased with the efforts of the construction team and the project was completed ahead of schedule and within budget.